A tight-knit team of rising investigators – Ray (Chiwetel Ejiofor) and Jess (Julia Roberts), along with their supervisor Claire (Nicole Kidman) – is suddenly torn apart when they discover that Jess’s teenage daughter has been brutally and inexplicably murdered. 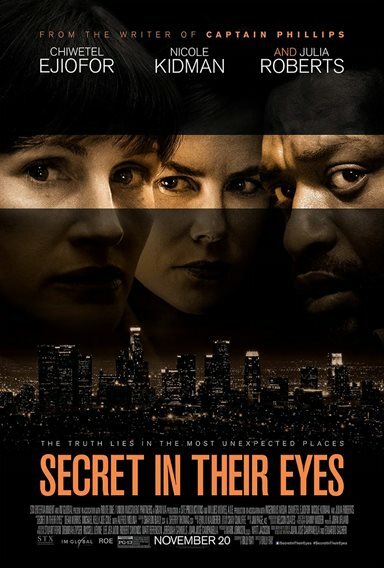 Download Secret in Their Eyes in Digital HD from the iTunes store. Secret in Their Eyes images are © STX Entertainment. All Rights Reserved.